Collective defined contribution pensions will pools workers' investments into one super-sized pot. A new type of occupational pension scheme which pools workers' investments into one super-sized pot has been given the green light by the Government. 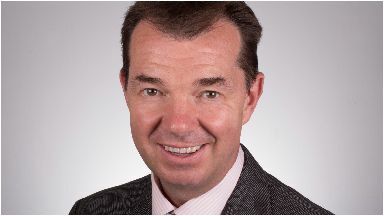 Pensions Minister Guy Opperman has announced that collective defined contribution (CDC) pensions will be brought forward. The Government is now consulting on how such schemes, which are used in the Netherlands, could work in Britain. The consultation applies to England, Wales and Scotland. It is envisaged that Northern Ireland will make corresponding legislation. Officials at the Department for Work and Pensions have been working with Royal Mail and the Communication Workers Union (CWU) to develop proposals for the introduction of CDCs. The security provided by the large scale of such schemes could help to lead to more stable pension incomes. As well as cutting administration costs, another potential benefit is that risks such as life expectancy and how long someone will need their pension for can potentially be pooled across a large group of thousands of pension savers. The consultation will help to flesh out the details of exactly how such schemes could work and it is understood they will be brought in when parliamentary time allows following the consultation. Currently, workers tend to have a defined benefit (DB) pension, which offers savers a guaranteed level of income when they retire such as a final salary pension - or, increasingly likely, a defined contribution (DC) pension, where the individual saver bears the risk of how much money they will eventually end up with in retirement and how well their investments perform. DB pensions have become increasingly thin on the ground as people live for longer and firms find it difficult to meet their pension promises. With the new type of CDC pension, payouts could be made to savers at a level agreed by trustees - potentially offering a middle ground option between DB and DC schemes. To protect the investments of members and ensure costs are controlled, all CDC pension schemes will be subject to a charge cap of 0.75% - set at the same level as DC pension schemes. Announcement: Pensions Minister Guy Opperman confirmed the proposal. Mr Opperman said: "Collective defined contribution pension schemes are an important innovation which will provide more choice and flexibility for pension scheme members and employers. "I'm grateful to Royal Mail and the Communication Workers Union for their assistance in getting us to this point. "It's important we get this right, which is why we're consulting on the detail of our proposals before bringing legislation forward. 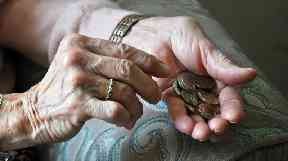 I want to hear the views of the pensions industry as we prepare to introduce CDC pension schemes." Jon Millidge, chief governance and risk officer, Royal Mail Group, said: "We are delighted that the Government has launched a formal consultation on enabling collective defined contribution pensions in the UK. "Earlier this year, Royal Mail and the CWU reached agreement to introduce a CDC scheme subject to the necessary legislative and regulatory changes being made. "The consultation launched today is a major step forward in our campaign to allow us to offer a CDC scheme for our 141,000 employees as soon as possible." David Willetts, executive chair of the Resolution Foundation think tank and chair of the Intergenerational Commission, said: "One of the ongoing challenges from employers moving from defined-benefit to defined-contribution schemes is that individuals bear too much of the risk, from the ups and downs of investments, to the uncertainty of how long each of us will live. "Collective defined-contribution pensions can help reduce these risks, ideally as part of a wider package of reforms, so the Government's move to encourage the development of these schemes is very welcome. "While few Millennials today will be aware of what a CDC pension scheme might entail, many may well be grateful for innovations of this type when they approach the end of their working lives."